On Thursday, June 4, 2015, BCGL Attorney Theresa Mongiovi will co-present "To Catch A Thief: Proactive Planning and Response to Employee Theft" at the PICPA Annual School District Conference. Theresa is the Chair of BCGL's Employment and Labor Law Department and frequently advises clients on issues involving employee theft. Theresa serves as special labor counsel to municipalities in Lancaster County. Her co-presenter is Lisa Myers, a Principal with Boyer & Ritter, Certified Public Accountants. Lisa is an integral member of B&R's Forensic, Valuation and Litigation Support Services Group and has extensive experience in fraud and forensic accounting services. According to the Association of Certified Fraud Examiners, government and public administration employers lose approximately $90,000 each year as a result of employee fraud. 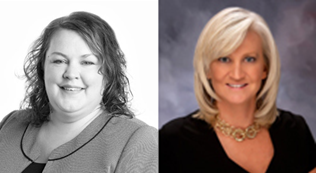 Theresa and Lisa will provide conference attendees with practical tips to prevent and identify employee theft, including: pre-employment screening, internal controls, theft policies and reporting procedures, bonding and insurance coverage and audits. They will also guide attendees through the process of investigating and responding to a confirmed incident of theft, and interfacing with the public. The goal of the program is to provide attendees with the tools necessary to protect their bottom line. For more information about BCGL's Employment Law services, please contact Theresa at (717) 945-5763 or TheresaM@bcgl-law.com. For more information about the Conference, you can visit the PICPA's website by clicking here.